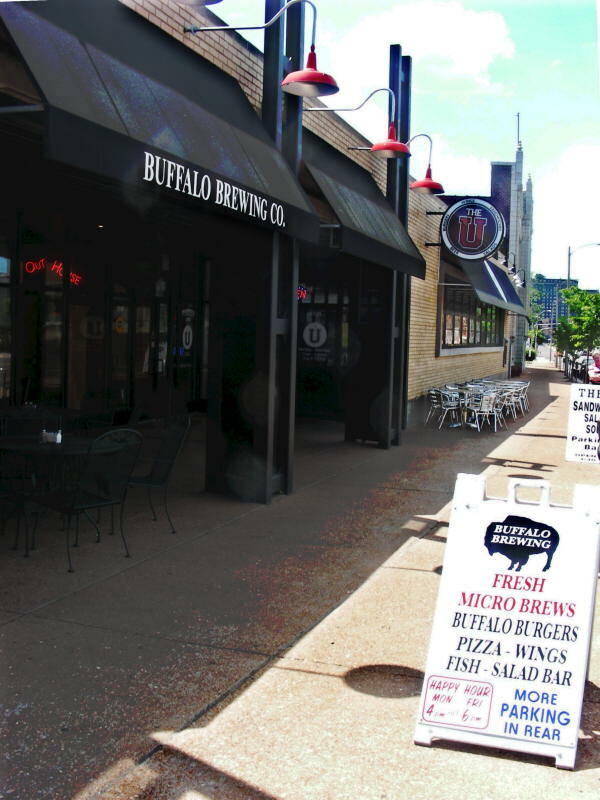 Buffalo Brewing Company was a fun stop for an out of towner. Their list of appetizers were mostly based on Buffalo, which isn't something I get very often living in NY (buffalo balls, buffalo stack, buffalo chips and cheese, etc). The buffalo balls were flavorful, but that's all we tried. The beers were tasty, but having come from tasting some beers in the Denver area there was a noticeable dropoff in quality. Most disappointingly, they were out of pint glasses! For lunch on this day we went to the extremely popular BBQ joint ,(rated the best in St. Louis,) Pappy's. Fantastic ribs barely needing the flavorful sauces on the tables. Usually this place has a line out the door and around the building, often completely selling out of food before dinner time. We lucked out and hit it at just the right time. On our way out I noted Buffalo Brewing right next door, and couldn't pass up trying a new micro-brew. 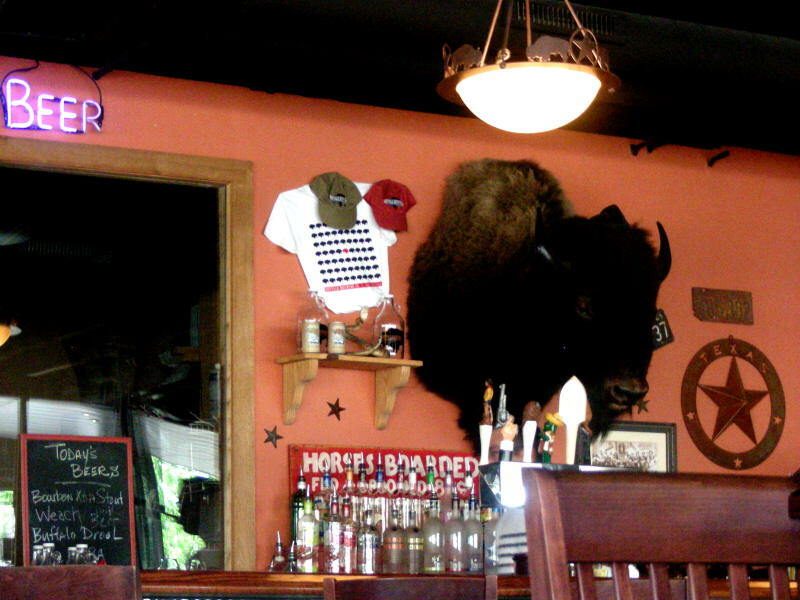 The place is small and has a lot of faux Texas decorations, including a stuffed armadillo on the bar. The tap handles were home-made jobs in the shapes of coyotes, guns, and cactus. 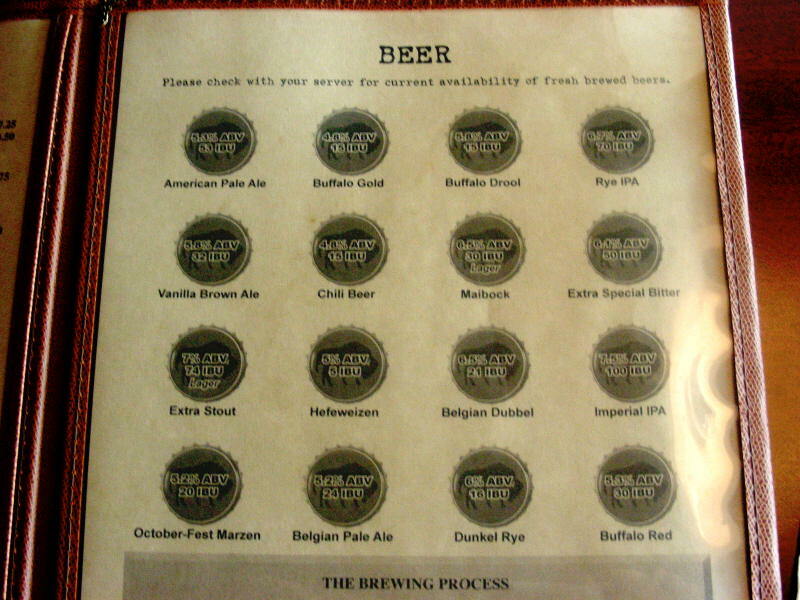 We had the beer sampler to try 5 beers. The Buffalo Gold was pretty skanky. The Vanilla Porter and pumpkin were not too bad. Overall not great, and the feel of the joint was not amazing. We did not eat here so I can't speak to the food. I would not really come back here based on the beers I tried. I went here for lunch and didn't know what to expect, but I was pleasantly surprised. The IPA and hefeweizen were both really good. I'll be going back eventually to try the others. What really impressed me was the food. Everyone I went with enjoyed their food and it was inexpensive for the quality. Atmosphere was good, the building it's housed in is nice. I'll be going back to hang out at happy hour. Parking is plentiful - It's located in a nice building with two other restaurants. Only downside is that they allow smoking inside.